Several decades ago, my Home Ec class made a memory quilt for our teacher. We each made a section for the quilt and signed our name, thus making a precious memento of our year together with a beloved teacher. Signed by Friends Quilt Book offers several designs for memory quilts. This would make a lovely gift for grandchildren to make for their grandmothers, children to make for their mothers, or friends to make for a friend as a going away gift. Really, anyone would appreciate receiving such a gift. 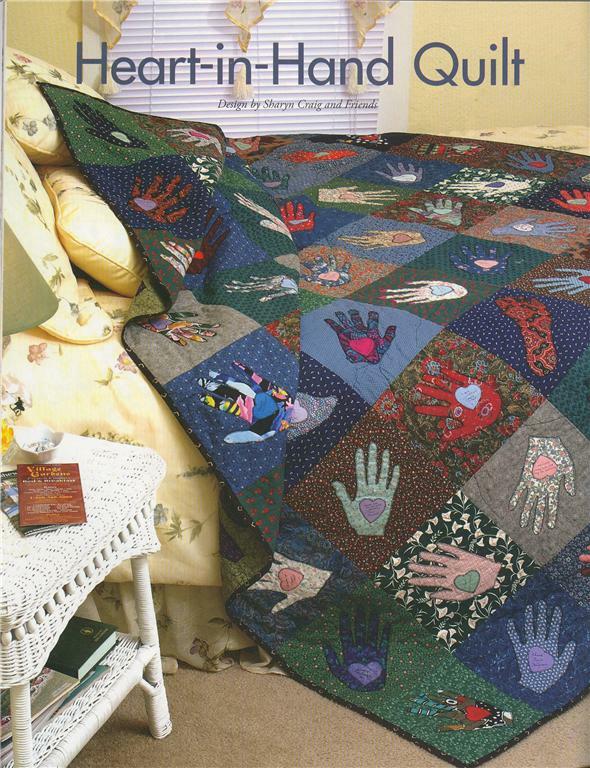 With the pattern shown above, you could create a priceless “hands in time” quilt for your loved one. With this book, you could choose from 10 special memory signature quilt patterns. This book includes the pattern for the quilt pictured above, plus several other really beautiful memento quilts. These gorgeous signature quilts would be a cherished treasure in any home. What a gorgeous quilt! I think the grandkids in our family making a quilt like this for my mom would send her to the moon! Excellent idea! As an avid quilter, I am always looking for new ideas for quilts and this one really struck me. Such a great way to share the love of friends and family. Keepsake quilts are something every quilter can appreciate.